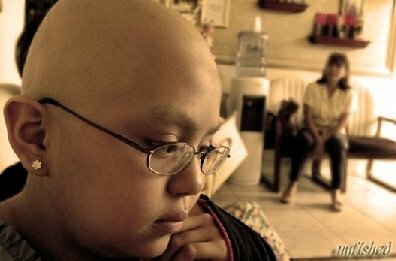 Terry High School student Melissa Ramos, 15, was diagnosed with acute myleloid leukemia on April 11, 2011. She underwent chemotherapy, bone marrow biopsies and spinal taps at Texas Children’s Hospital in Houston, determined to put up a fight. During the treatments, Ramos also lost her hair, but she never lost her sense of hope, especially as friends and family gave her their unconditional support. A classmate and friend, Kristen Wigington, donated her hair to Locks of Love specifically for Ramos. Her mother’s co-workers donated platelets of blood, and others in the community rallied to help this always smiling teen. 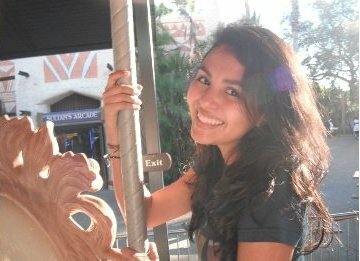 On Sept. 22, 2011, Ramos left the hospital and on Oct. 10, 2011, she received word she was officially in remission. To give back, Ramos, a member of the Terry High yearbook staff, organized a school hat day in conjunction with the national “Hats Off For Cancer” organization. The national organization has donated over 1,500,000 brand new hats to cancer survivors. As the hat day approached, Ramos, R.J. Hernandez and their families made dozens of orange ribbons for students to pin to their hats to signify they’d donated to the “Hats Off” day. Her fellow yearbook staffers helped make posters and Ramos raised awareness for the need to fund a cure for cancer by sharing her story with her classmates. In total, the Terry Rangers donated $190 to “Hat’s Off For Cancer” in Melissa’s honor who is still in remission and said she “feels fine.” Ramos said she’s happy that, in some way, she can help others. “I wanted to give something back and to help find a cure for cancer,” Ramos said. Anyone wishing to know more about HOFC can visit their website at http://hatsoffforcancer.org. FRISCO — A Frisco principal says bald is beautiful. And now, he doesn’t have to worry about his hair in the morning. He made good on a bet with students. Imani Miller is a dancer. She’s a lieutenant on the Heritage High School drill team. In September, she had a relapse of leukemia. She’s undergoing chemotherapy. Imani is one of two students at Heritage who are battling cancer. “It’s really hard to wrap your mind around the fact that someone so close to you has been suffering so much,” said Bethany Alexander, Imani’s friend. Heritage principal Mark Mimms made a promise to his students: If they raised thousands of dollars for a cancer organization, he would shave his head. In one week, students exceeded the principal’s challenge. They raised $6,600 for Hats Off For Cancer. “They were coming in, digging the change out of their purses or out of their pockets, and turning it in,” said Jacqueline Hollowell, DECA sponsor. Students who helped raise money saw the shaving in person. The rest of the school watched it from their classrooms. “And I think it was an eye opener to the students that there are a lot of students going through a lot worse than they are, and that we need to be appreciative,” said Tannaz Zakeri, Imani’s friend. News 8 spent some time with Imani Miller. She didn’t feel up to appearing on camera. She’s in remission and must endure two-and-a-half years of chemo treatments. She and her mother told us all the love coming from her school is therapeutic. The kids at school say it’s been a boost for them too, knowing they’re bringing comfort to two classmates, in such a tough time. 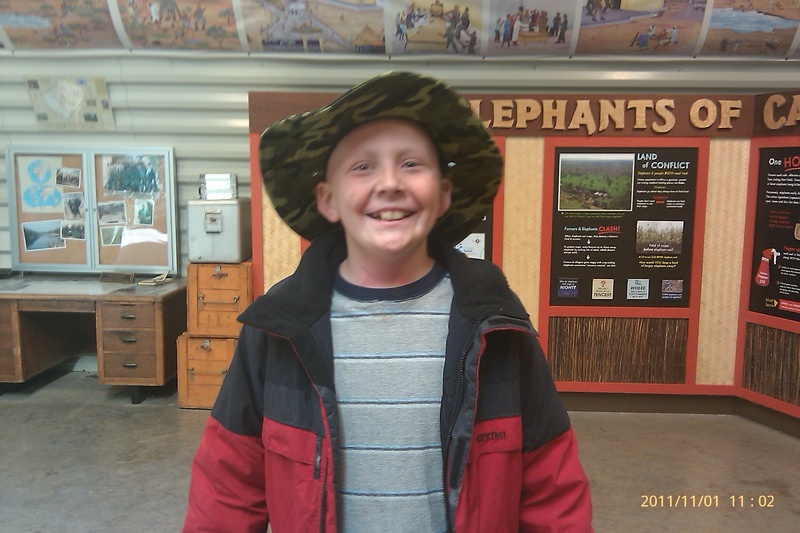 This week we are honoring 15-year-old Jordan Thorne, who battled brain cancer two separate times starting at age 9. The first tumor was removed through a surgery. It wasn’t until 3 years later that doctors found another tumor and determined that it was cancerous. This time, the tumor would only be treatable through chemotherapy and radiation treatments. Fortunately, Jordan has been cancer-free now for the past three years! Jordan raised funds for cancer research, helped with fashion shows, cancer walks, Cops for Cancer programs, and was even featured on a flyer handed out during the night they lit the CN Tower (in Toronto, Canada) gold for childhood cancer last September. He is also being honored this September with the “‘Ace Bailey’ Award of Courage NHL Alumni Award” for his numerous good deeds. 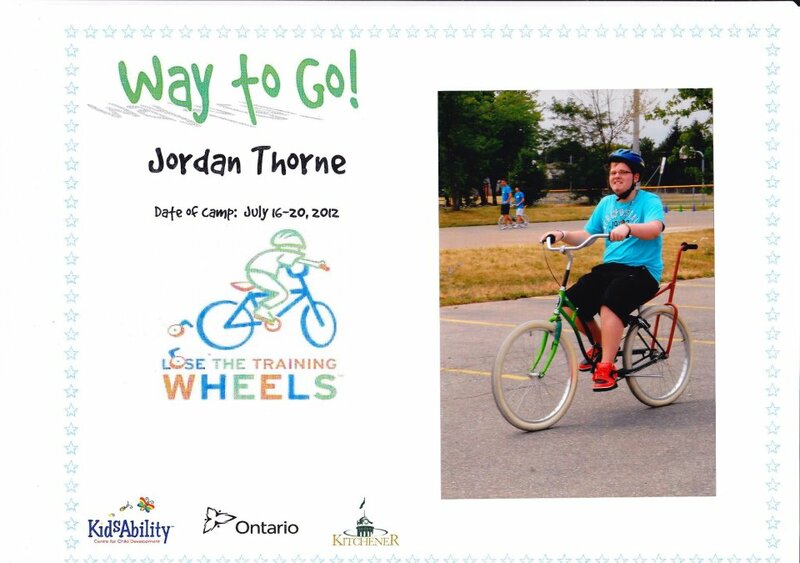 Jordan also works with a program that helps teach disabled children how to ride a bike. 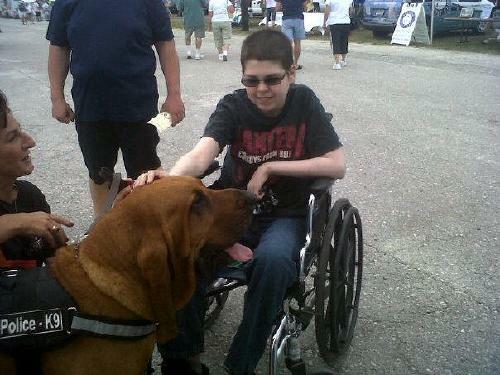 This is especially dear to Jordan as he was unable to ride a bike after his first tumor nearly seven years ago. The program helped him get back on a bike and now he is paying it forward, helping others. Jordan’s list of accomplishments does not end there. He has written a motivational speech and a rap song about his battle with cancer and the affects on his life. Jordan’s wish is to be a motivational speaker when he grows up. It’s not only Jordan’s battle with cancer, but his positive outlook and mission to help others that make it easy to name Jordan our HOC Hero of the Week! Check out Jordan’s Facebook group to let him know what an inspiration he is! If you know a child or teen who is battling or has battled cancer and you want to nominate them for our next HOC Hero of the Week, tell us about your hero and include photos and any links to their pages so we can support them! Fill out the nomination form here: http://hatsoffforcancer.org/nominate-hero. To kick off the start of September, and Childhood Cancer Awareness Month, we would like to honor our HOC Hero of the Week, Chris West. 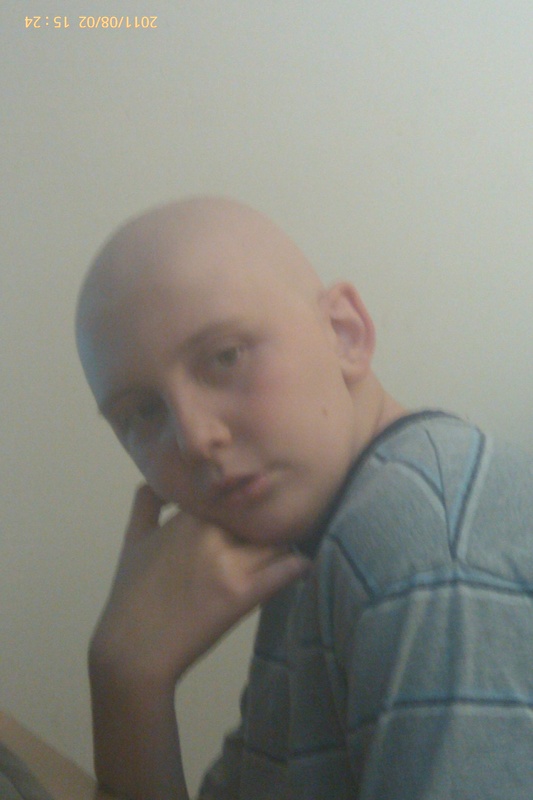 Chris is a 14-year-old who has a probable relapse after fighting stage 4 Hodgkins Lymphoma last year. Last year, Chris began complaining of arm pain and after many doctor visits, was told he had stage 4 Hogdkins Lymphoma. In June, 2011, Chris had a port put in and started chemotherapy. Chris was diagnosed during the last week of school in 2011. Even though he spent his whole summer in treatment, he always had a smile on his face. He kept that positive outlook the entire time. Chris finished his chemo in October and finished radiation in December, 2011. 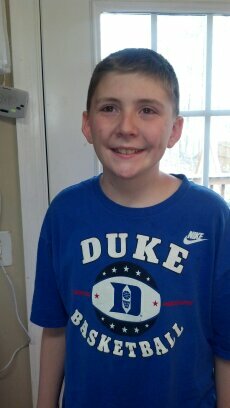 This past April, he was able to go on a Make-A-Wish trip, and celebrated his “End of Chemo” party in July, 2012. He also got his friends together to fundraise for charities focusing on helping cancer patients. 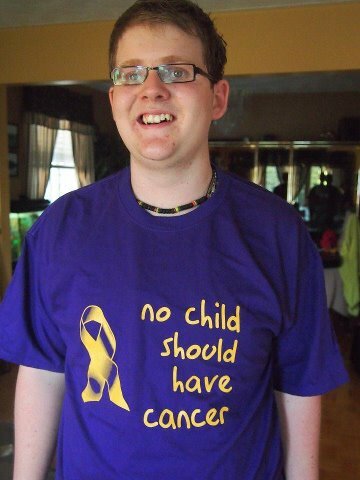 Chris had to be home schooled last year due to treatments, and was looking forward to going back to school this year. 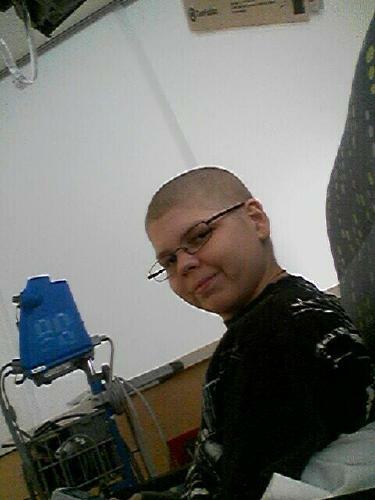 However, after going for routine scans, only two days after his 14th birthday, Chris was told he had a probable relapse. On what was supposed to be his first day back to school with friends, Chris had a surgeon consultation, and has his biopsy scheduled for September 10th. Despite a relapse and returning to treatment and radiation looming over his head, Chris has kept his positive attitude. He is scared and nervous, but focused on school work. Please join us in praying for Chris and his family as they face cancer once again. You can “like” his facebook page! Help him get to 1,000 likes before he goes for his biopsy appointment on September 10th. Chris, your selflessness coordinating fundraisers for charities to help others with cancer and your positive outlook are truly inspiring. We are proud to name you our HOC Hero of the Week! This week we would like to honor Max, also known as SuperMax. Last August, SuperMax was diagnosed with brain cancer at only 4 and a half years old. This type of brain cancer is very uncommon. Through surgery, the tumor was partially resected. SuperMax has been undergoing chemotherapy ever since as he fights the remaining tumor. 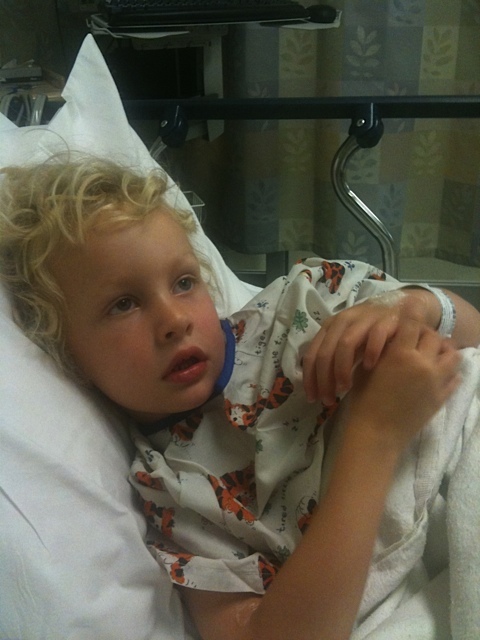 SuperMax prior to the diagnostic MRI in August, 2011. Max’s mom Audra says it’s still a long road ahead, but her SuperMax is her hero. Max shows me every day how to push harder, to be present with each day, and how not to give up. He’s a fighter, a sweetheart, and a goof-ball. 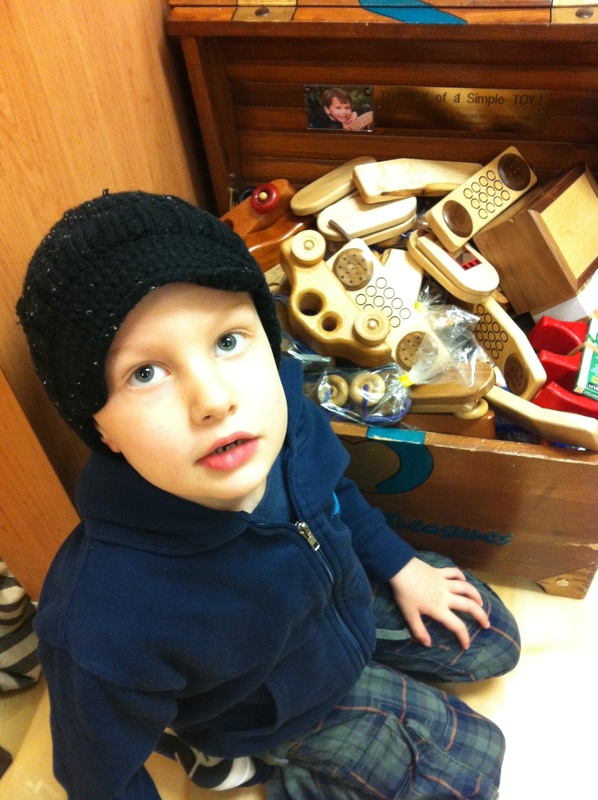 Inspired by Max, his family created Max’s Love Project where they fill their local hospital treasure chests to help other kids battling cancer. They also donate “Cloud B’s Twilight Turtle” to kids around the country. Max has learned the power of sharing his love and supporting his SuperBuddies, which is a tremendous gift. Every time he helps me deliver treasures, I am reminded of how proud I am of my hero and the very generous young man he’s becoming, even as he overcomes tremendous challenges himself. We’ve seen the healing power of love, first hand. SuperMax fills treasure chests at CHOC Children’s cancer center. SuperMax, we are keeping you in our thoughts and prayers. You are our HOC Hero! Keep up-to-date with SuperMax here: http://www.facebook.com/teamsupermax, and find out more about Max’s Love Project here: http://www.facebook.com/maxloveproject. 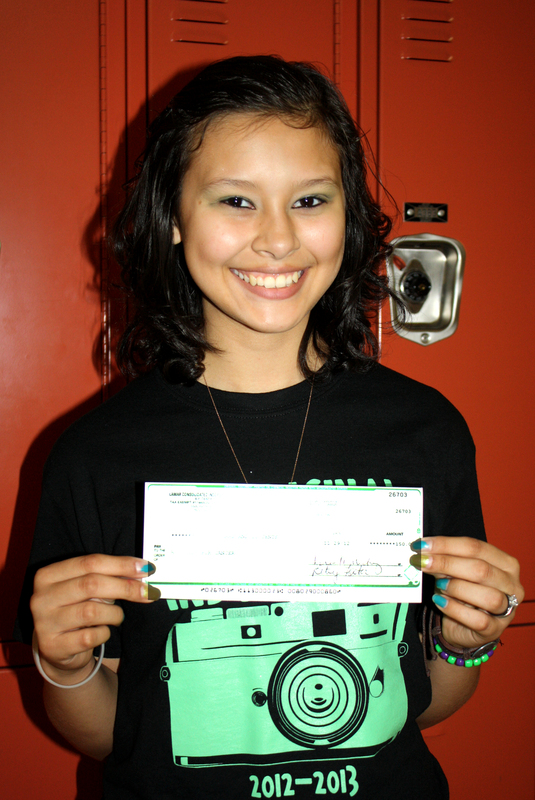 This week, we would like to honor Claudia Reyes-Rios as our HOC Hero of the Week. Claudia was diagnosed with non hodgkins lymphoma at age 11. Her sister Maria told us how cancer was something that none of her family members ever had to deal with, until young Claudia was diagnosed and had to go through treatments. It was a huge blow to the entire family since the word cancer had never been associated to any family member, especially not to one as young as she was. Throughout her treatment she was a huge inspiration to us all. She never stopped smiling and at times even comforted us. She taught us about faith, courage and about not questioning God when things didn’t go the way we planned. She never doubted how much God loved her in spite of her circumstance and she inspired us to do the same. Claudia proved to be a major inspiration for the family and is now a happy and healthy 18-year-old! This week we would like to honor our HOC Hero of the Week, John “PJ” Combs, a 16-year-old who is currently battling Acute Lymphoblastic Leukemia since he was 14. PJ has been through a lot in his short life including more than 30 admits to the hospital, septic shock, pancreatitis, feeding tubs, upper and lower endoscopy, fevers, 50+ units of blood, 150+ units of platelets, an implanted port, IV antibiotics at home and the hospital, x-rays, ultrasounds, echo-cardiograms, having to learn to walk all over again, cranial radiation, chemo through IV, his spine and orally, and much more during the past two and a half years. PJ is a fighter, though! Doctors told me two and a half years ago that he might not live BUT he is still here and fighting so hard! PJ never complains and tries to make everyone around him happy. He is an inspiration to me and everyone he meets. He touches people to the deepest depths of their hearts with his strength and loving disposition. I am his mother and he is MY hero and always will be. To keep up to date on PJ’s fight, you can visit his CaringBridge page. PJ, we are keeping you in our thoughts and prayers. You are our HOC Hero!